Video compositing together with an Autocue or Teleprompter has been used for many years in the TV and film industry for separating actors and presenters from a background, and then adding (compositing) a different background electronically. 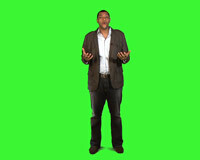 Add Chroma Key / Green screen option. As the speaker does not need to look down to consult written notes or cue cards, he or she appears to have memorised the speech or be speaking spontaneously giving a much more professional look to the finished film. 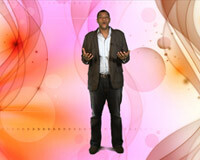 Together with chroma keying any background can be applied. What is an Autocue / Teleprompter?